Slanted Stitches Etsy shop is on vacation. It’s too hard to make this little enterprise mobile. I’ve been visiting family and friends and accompanying hubby. We drove from Whistler, BC to Los Angeles, Tennessee to Pittsburgh, and the last trip for me…Tennessee to Fort Worth to San Antonio to Tampa. A lot of driving. And I am just plain tired. I did try…really I did…I took my sewing machine and enough stuff to finish one set of bags. The hotel rooms make a nice tiny sweatshop. But, of course, I forgot to cut the last side panel. I’ve got to get that checklist written and printed! Failing that, I have been fabric shopping. This is the dangerous part of being a fiberholic. I have been able to restrain myself because I have plenty of cotton, linen, indoor/outdoor decorator fabrics for the current style of wedge bag. And, you know what, my confidence and skill level has increased as well as having a better sewing machine. The only reason I can say that is when I look at my early bags (they look a bit shabby in comparison). 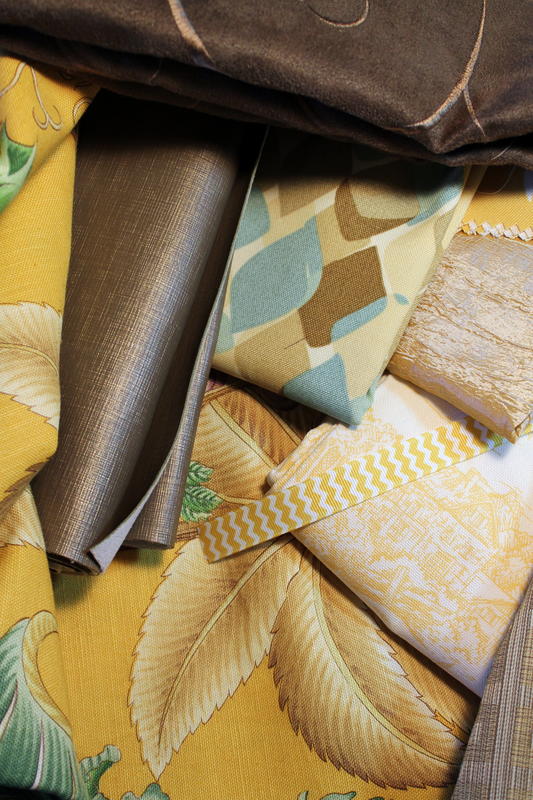 Adding a new style opens up my self-imposed restrictions to a whole new category of fabrics to seek. 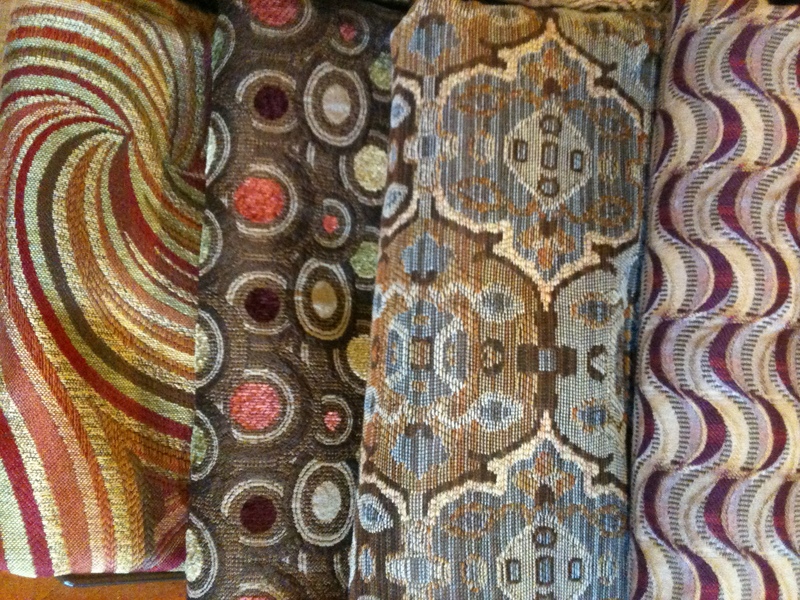 I didn’t have many of the heavier upholstery fabrics. I wouldn’t have dared forced my old Elna to stitch through them. She would have choked. With Henry, my Singer Heavy Duty, I will dare to try. So now, there is too many beautiful potentials and I want to make ALL of them. Here are some that I couldn’t resist. Please excuse the quality of the photographs. I’m doing this on the road without proper lighting and camera. 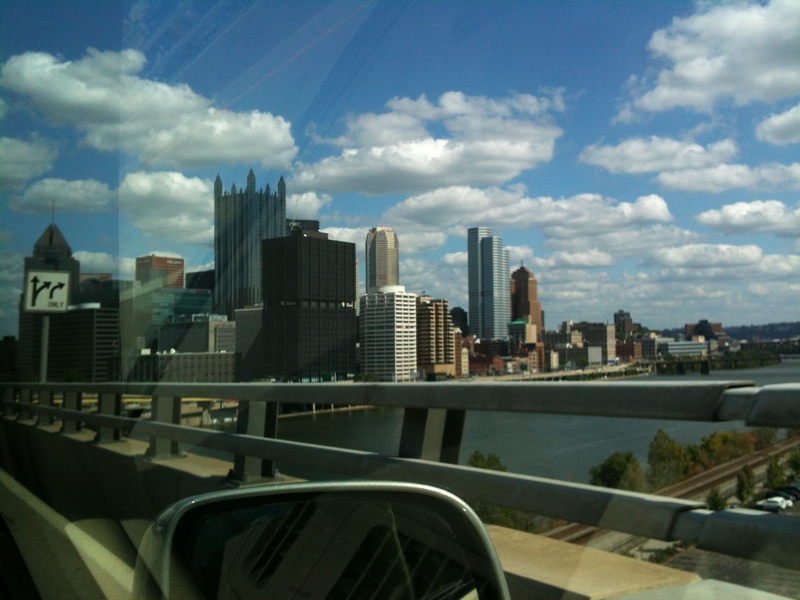 This entry was posted in Knitting, Road Trip, Sewing, Zigzagging and tagged fabric, Pittsburgh, roadtrip on September 24, 2014 by slantedstitches. I did not mention in previous posts that I would be absent for a few weeks. I went to the west coast to spend time with family. Respecting their privacy means they are off-topic. 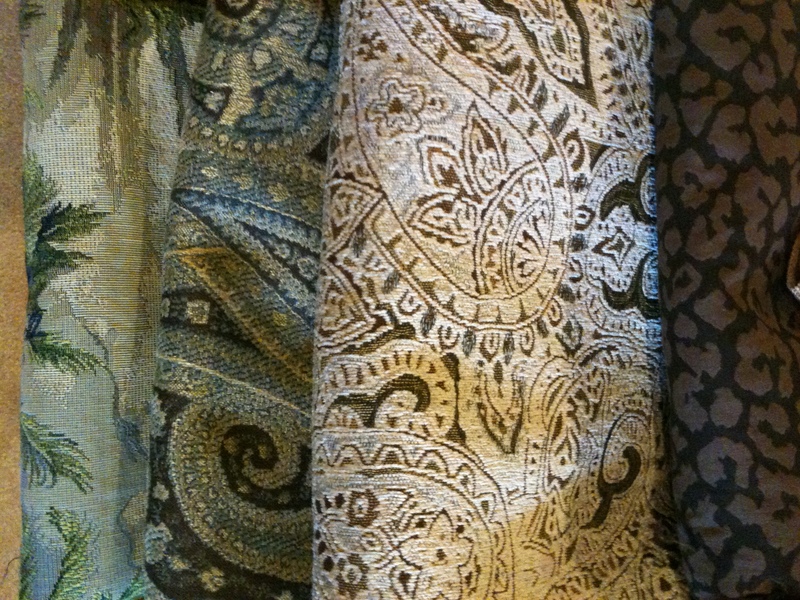 I did manage to shop for new fabrics for large tote bags, which will be shared in another post. Finally we are leaving LAX. 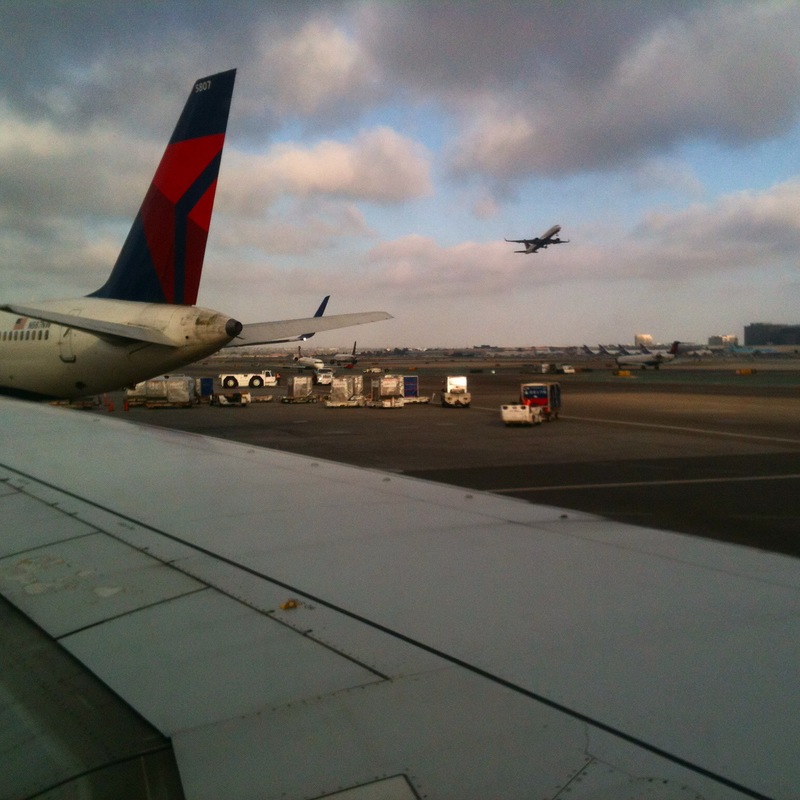 I was at LAX from 8:00 am for a 10:30 am flight. Boarded the plane, waited 2 hours on the plane before they decided to tow it to a hanger, expecting to re-board at 3:00 pm. Instead, we didn’t leave LAX until 6:00 pm. We picked up our bags around 12:30am. Got to bed around 1:30 am. It was a very long day. The airline did provide us with a sandwich and later a $75 voucher. I was armed with knitting, the Estuary shawl and self-striping socks. But both needed more thinking than was available. Lesson learned, I must have a simple project available to knit. Time to start the heel. Love this yarn. My first time knitting an indie dyer’s sock yarn. The first sock, Must Stash yarn’s 10 Days of Fiesta, the stripes are very consistent, so I want to keep the rhythm going by changing yarn at the heel. I decided to use the other end of the yarn cake to do the heel. But taking the cake out of the ‘girdle’ will probably mean messy outer ring of yarn. I should have done that before arriving at the airport. Live and learn. Peace and quiet equals progress. I did work on the Estuary shawl (Huckleberry Yarns), but probably ripped out and re-knit the same 6 rows at least 3 times. Much praise to Huckleberry Yarns for holding up well to my ripping/knitting abuse. I’ve learned my lesson, charted stitch patterns are not done with lively conversations. The conversations were good. John and Liz, Cynthia and others made the 10 hour wait more fun and interesting. I met a houseboat owner, a wedding dressmaker, a female union electrician, a pharmacy student, an electrical engineer, and a 10 year old home schooled child who knew a lot more about ancient Egypt than anyone but his mother. Meeting them was the best part of the flight. 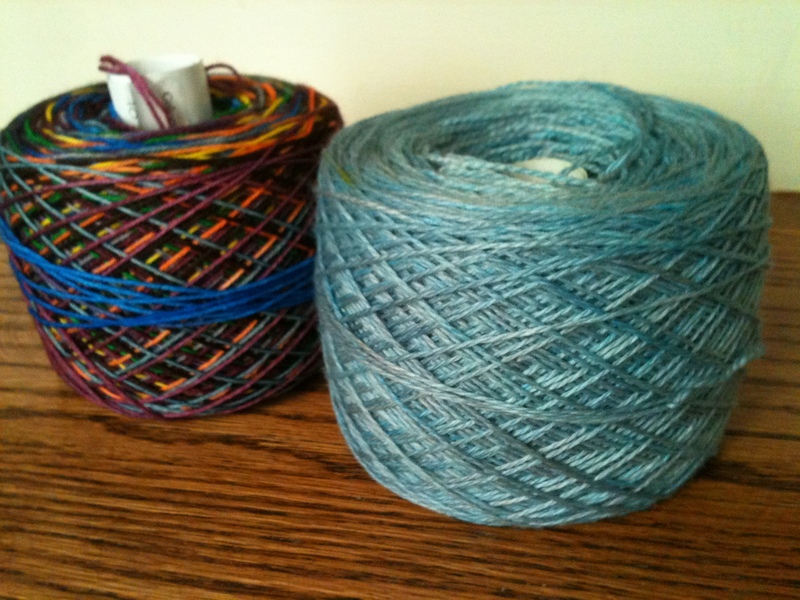 This entry was posted in Knitting, Road Trip, Zigzagging and tagged airline delays, knitting, roadtrip, self-striping yarn, socks on September 15, 2014 by slantedstitches. That Carly Simon song pops in my head as I’m losing steam on the current projects. I use to have too many unfinished projects. They were hidden around the house, but were always nagging and criticizing me for giving up on them. Start-itis use to be a real problem for me. I love the excitement of starting a new project, diving into a bit of the unknown, experimenting with new combinations… Now I use it as motivation to get through the current projects. I just made it a rule. I HAVE to finish the current projects to start new ones. Of course, I have categories of current projects. Do you use anticipation as a motivator to get things done? The last few steps for knitting are VERY tedious. Shawl rows near the end are 500-700 stitches long and most likely a more complicated lace stitch pattern. Then the bind-off. I always dread the bind-off. 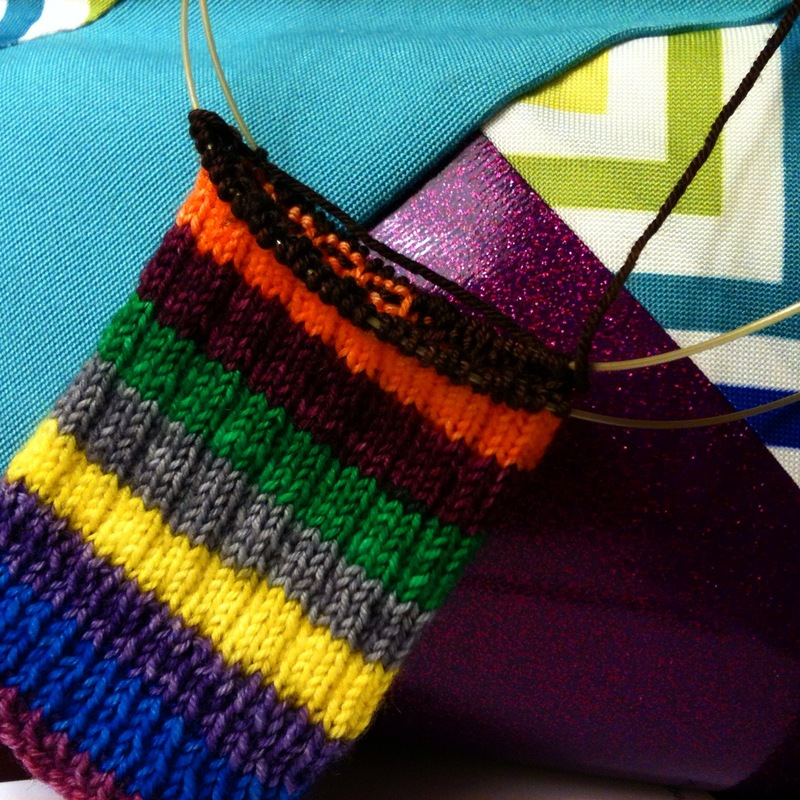 It’s the Goldilocks issue when it’s hard to get the tension right, I tend to either bind-off too loose or too tight. I have to take a break and go looking in my craft closet for the next project. I’m about to finish a shawl with linen yarn from last year’s trip to the west coast. I just decided the next one should be from the same trip. (Mountain Colors, Bearfoot base, Portland Rose colorway from the Yarn Garden. Sad to hear that they just closed. At the last minute, I switched to a Huckleberry lace yarn I bought at a fiber festival in Snohomish, WA) I also decided to always have a pair of socks on the needles. The current one is 3/4 done, just before the second heel. Tonight, I’ll cake my new SSK purchase, Must Stash‘s 10 Days of Fiesta. And the sewing…I LOVE the beginning and the end results, but getting there is tough, lots of little bits of stuff to do, lots of changing thread color (OK, maybe I’m a bit picky). The last steps are always opportunities for disaster. So I definitely save this step for when I’m fully rested and not stressed. When I need a break, I love experimenting with selection of the fabrics for the next project. This ‘gather’ was inspired by the handprinted tropical linen on the bottom. I’ve been wanting to play with this linen from Raleigh, NC. I found a nice textured vegan leather that I had previously set aside for a black project. It works much better here. 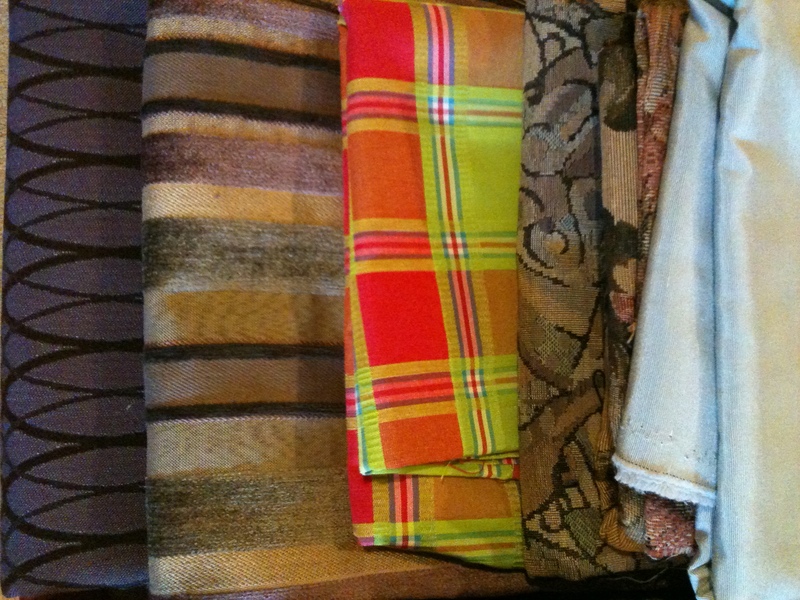 The other fabrics came from trips to St. Louis, Portland, Los Angeles. Lots of fun memories goes into these bags. Writing this post gives me a whole new idea…I’m going to include in the bag’s description where I found the fabrics. This entry was posted in Knitting, Sewing and tagged knitting, lace, perserverence, self-striping yarn, shawl, socks on September 8, 2014 by slantedstitches.